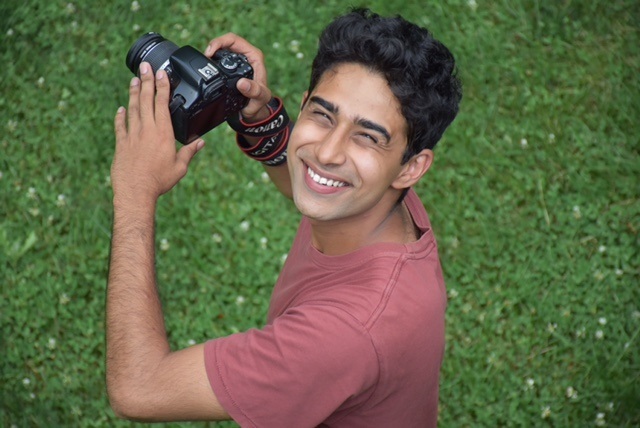 Renzu’s upcoming movie “The Illegal” stars “Life of Pi” fame Suraj Sharma. UCLA alumnus and filmmaker Danish Renzu promises to show the audiences a side of America they may not have seen in cinemas before. His upcoming movie The Illegal, starring Life of Pi fame Suraj Sharma, is an extraordinary and pithy story of an immigrant boy who finds himself trapped in an illegal status in the US. Renzu has just wrapped up shooting The Illegal, which will be released in film festivals. Renzu grew up in the conflict-ridden valley of Kashmir in India. He says that, in many ways, living through frequent bombings, shutdowns and human rights violations shaped his understanding of life and sowed the seeds of his constant quest for development and education. His experiences find expressions through the poignant themes of his films. The Illegal metaphorically speaks to millions of immigrants in America. The film also has a multicultural crew. Its producer and additional writer Tara Tucker is from California and editor is Iranian editor Hasan Hassandoost. Renzu’s first independent short film, In Search of America, Inshallah, was a story of a woman searching for her husband who was shot in Los Angeles. The film won recognition at Cannes and Noor Iranian Film Festival, and it won awards for the lead actress. A second short film, First Love, again centered around a South Asian woman. Another film, The Half Widow, will be shown on Netflix. Currently he is shooting Pashmina with Aditi Roy Hyderi, Manisha Koirala and Soni Razdan. Renzu, who came to America at a young age, talks to The American Bazaar about his inspirations and the recurring immigrant theme in his movies. Let’s talk about your upcoming movie The Illegal. Is the production complete and would you be releasing the film in the US first? The shooting for The Illegal was completed early last year and now it is in the final stages of post-production. We intend to release it at a film festival before exploring theatrical and digital avenues. As an immigrant yourself, did the story of a student coming to America and the various cross roads he faces appeal to you particularly? Did it touch upon any experiences you had in the US? Yes, being an immigrant in America is a journey of its own. I have met so many international students doing multiple jobs in order to cover their tuition expenses and making sacrifices on their way to the American dream. Even in various South Asian restaurants, you’ll meet immigrants who have been working for decades, have given up their dreams, in order to take care of their families back in their home countries. So just that right away made me write this story. It’s a side of America. people haven’t seen before and I thought it was important to introduce audience to such stories. At a time when anti-immigrant sentiment has been on a high across the globe and in America, how significant it is to tell a tale of immigration and why? From a human perspective, it is crucial to empathize with the plight of immigrants throughout the world. These brave souls work countless hours, have sacrificed so much to live an American dream so their valor and courage needs to be recognized. My film just attempts to do that. Not only it showcases the plight of immigrants in America through my protagonist, but it also highlights their bravery and courage of not giving up their dreams irrespective of their circumstances. Tell us more about the plot of the movie, its cast and its shooting locales? The film is about a young Indian student from Daryaganj, in Delhi, who embarks on a journey to America in order to attend his dream film school. However, he ends up working in a restaurant which becomes an obstacle toward his goals. The film stars Suraj Sharma in the lead along with an ensemble cast of Adil Hussein, Shweta Tripathi, Neelima Azim including prominent faces from Hollywood such as Iqbal Theba and Jay Ali. The film was mostly shot in Los Angeles, and we also had a 4 days schedule in Daryaganj, Delhi. Let us talk about being an Indian American film maker in Hollywood. What have your experiences been like? It’s been a great experience to be able to work with the people in Hollywood. I studied at UCLA, where I was able to meet the best from the country. So many Indian artists in America are now finally getting a platform and recognition. So, it’s the best place to be at right now. I really look forward to make more films here. The work ethic and professionalism is also one of the reasons I like to live and work here. Tell us about your other future projects? Currently I am working on a feature film titled Pashmina with an attached ensemble cast of Dulquer Salmaan, Aditi Rao Hyderi, Zaira Wasim, Ronit Roy, Manisha Koirala, Farida Jalal and Soni Razdan. We are presently in the pre-production of the same. The film is set in Kashmir and is about a girl’s point of view, who works in a loom and how she sees the making of pashmina shawl and the wearers of the shawl. The film will have music by Amit Trivedi and Lyrics by Gulzarji. How do you feel that movies such as these help in humanizing the immigrant journey in America? Having a protagonist’s journey showcasing the plight of immigrant life in America from more of a human perspective rather than political, right away would enable a connection with the audience and thus lead to empathy. We certainly need more stories such as these.